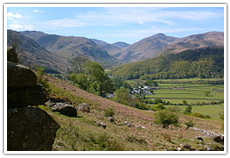 Cumbria is a beautiful county in the North West of England and is the home of the world-famous Lake District. 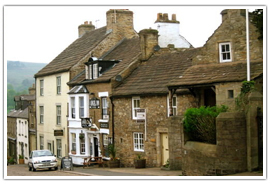 It is a tourist center of England and receives visitors from all over the world every year, some for the glorious range of outdoor activities it offers, others for the diverse range of wildlife on display here. Yet for all its attention, Cumbria is still large enough to enjoy without feeling crowded, with hidden forests and reservoirs, tiny campsites that aren’t on most maps, absolutely breathtaking vistas over lakes and mountains, and beautiful old hotels that appear as if by magic, upon rounding the next turn in the road. Cumbria is a long way from London, with even the best train link taking about 6 hours from Carlisle to Kings Cross, and that is traveling on a direct link, without any changes or stops. Cumbria has some large, industrial towns on the coast that were once a thriving economic mainstay of the county, but modern-day Cumbria is mainly famed for its thriving tourism industry. 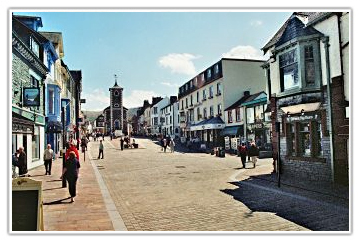 Keswick is a beautiful old town and civil parish and has been a central hub for walkers and outdoor enthusiasts from all over the world, for decades. Thousands of cyclists, climbers, abseiling enthusiasts, and climbers all come to Keswick, all year round because of its premier location, right on the doorstep of the Lake District. In Keswick itself, there are walking centers, equipment suppliers, museums and art galleries, plus a whole range of lovely old cafes, each one with its own delicacies for visitors to sample. 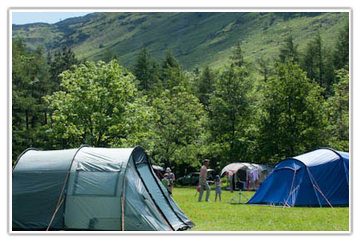 Keswick itself is on the shores of the beautiful Lake Windermere, where visitors will find boat rental, deck chairs, and parasols as well as a large range of refreshments and souvenirs. It also lies at the foot of the highest fell in England, Scafell Pike. Resting in Southern Lakeland and not far north of Lancaster, Kendal is a bustling, thriving market town that was originally known as Kirkby Kendal. 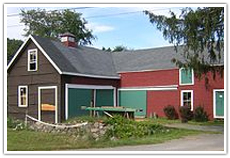 It also has a large, annual tourist contingent and is famed worldwide for its delicious chocolate mint cake as well as being a center for snuff, tobacco and tobacco products. 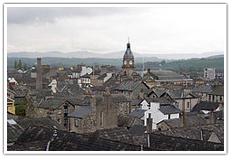 Kendal is also a tourist hub, and although not as near to the Lake District as Keswick, it still sees a yearly multitude of visitors to its museums, art exhibits, and busy shopping center. 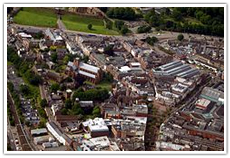 The smallest city in Britain, Carlisle is also known as the Border City, as it lies directly on the border of Scotland, not thirty miles from the line itself. With a population of just over 100,000, it started life as a Roman Settlement and was believed to be a strategic post serving as a staging point for Roman troops invading Scotland from England. It was also used as a supply point for forts along Hadrian’s Wall, which is now a point of touristic interest for thousands of visitors every year. In Carlisle itself, there is plenty to do, with an almost fully intact nine-hundred-year-old castle, the Sands Centre which hosts cultural events as well as great shopping and dining with Cumberland Sausage being a local delicacy. 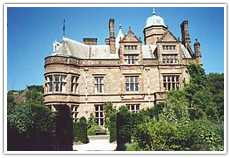 Muncaster is a stately castle and garden, still occupied by its owners, the Penningtons. 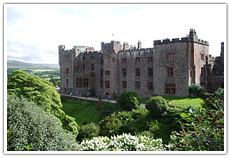 Situated near Penrith, it has stunning gardens, with an abundance of wildlife to sample, plus a large variety of well-tended trees and plants to see. Holker Hall is the home of the modern day Lord and Lady Cavendish and is situated in Cark-in-Cartmel, Grange-over-Sands. The gardens are twenty-five acres of well-kept, immaculately manicured trees, plants, and lawns with unusually large rhododendrons blooming here every spring. 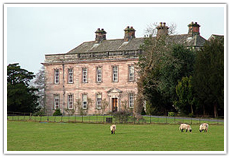 The Dalemain estate sits just outside the market town of Penrith and has been in situ since Saxon times. The garden is a plantsman’s dream, built into a beautiful five acres of color, texture, style, and substance. 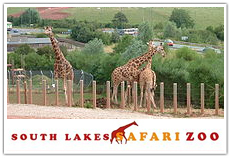 With Giraffes, hippos, big cats, and monkeys in the line-up, the South Lakes Safari Zoo is a wonderful day out the whole family can enjoy. Vultures, penguins, and condors all roam free around the park, and visitors can listen to talks by experts on the many different animals roaming here. 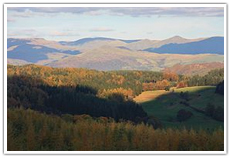 Grizedale forest is situated right in the heart of the Lake District, a 24-acre wood full of fun activities, trails and even unusual wooden sculptures allowing for moments of quiet and pleasant contemplation when walking through the cool, sun-kissed, shadowy forest. 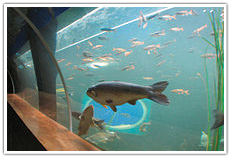 Resting on the shores of Lake Windermere, the Lakes Aquarium is a must-see for all nature lovers. Among the attractions here are different temperate zones, each sporting completely unique creatures to its climate. In the tropical zone, visitors can see a boa constrictor, a grinning mailman and a selection of lizards. Cumbria has many places to visit and explore, and is one of the tourist hotspots of Britain, with sparkling lakes, brooding mountains, lonely valleys and hidden villages and hamlets all waiting to be discovered by the intrepid explorer. 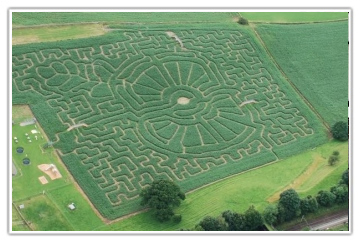 Let your children wander freely around the maize maze, as well as hands-on feeding and petting of many different farm animals such as pigs, ferrets, sheep, alpacas, pygmy goats and a funny donkey named Winston. 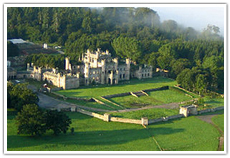 Lowther Castle is a beautiful old building with a rich and varied history, with its last resident, the Yellow Earl vacating the castle in 1936, when the British Army requisitioned it for the Second World War. It was returned to the Lowther family in a state of disrepair, but over the course of a few decades, it has been lovingly restored to its former glory. 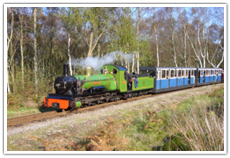 Home of the oldest and smallest miniature train ride in the world, “The La’al Ratty”, Ravenglass and Eskdale Railway begins in Ravenglass; the only coastal village located in Cumbria and was built in 1876. Cumbria has some of the finest tea rooms in Britain and is proud to offer wonderful baking and delicious beverages to visitors from all over the world. 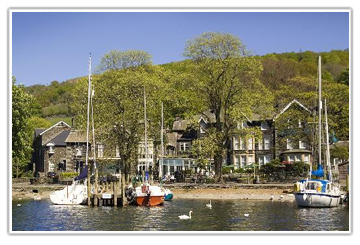 Beautifully situated at the banks of Lake Coniston, the Waterhead Hotel offers a wonderful selection of fine teas and coffee, accompanied by sandwiches and delicious warm scones with clotted cream and strawberry jam. 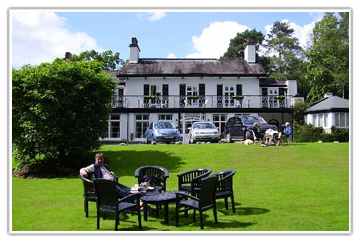 Rothay Manor is a beautiful regency house hotel, just outside the picturesque village of Ambleside. On the menu are tea and coffee, with scones, fruit fillings, clotted cream plus many types of savory, sandwich and biscuit. The Lake District is one of the finest venues in Britain to get married, with beautiful scenery, romantic villages and hotels, mountain backdrops and surprise views around every corner. 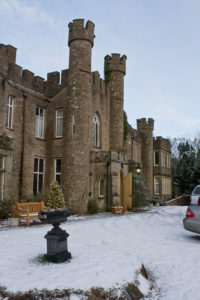 Augill Castle is a wonderful old stately home located in Kirkby Stephen. Set in twenty acres of manicured grounds, and with bespoke marquees decorated to your taste, it really is the perfect location for a romantic wedding. 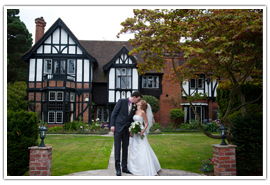 A beautiful and elegant venue, The Grange Hotel has 53 bedrooms, great wheelchair access and is set in stunning private grounds. With a licensed ceremony room and a lovely bridal suite, the Grange Hotel also offers wonderful views of the local town – Grange-over-Sands, as well as the unspoiled surrounding countryside. 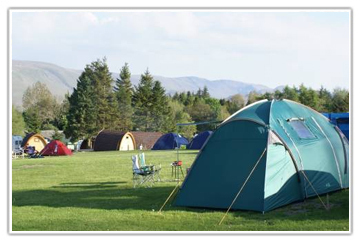 Cumbria is the most popular camping location in Britain and one of the most popular in all of Europe, so there’s no shortage of places to park a caravan or pitch a tent.